Pasta is a stable in our house. My two kids could literally eat pasta three times a day and be completely happy. I like that pasta is easy to make and the flavors can easily be changed to make a completely different dish. I haven't always felt that way, in my middle twenties I got very burned out on pasta. During college I pretty much lived on coffee and pasta. I would make a huge pasta recipe on Sunday and eat it for dinner the entire week. You can imagine that I got very tired of pasta by the time I graduated. Due to this burnout I refused to make any pasta dishes the first three years my husband and I were married. Then after my oldest son started eating solid foods I discovered what a great thing pasta is with kids. Suddenly in less than thirty minutes I could get a tasty and nutritious dinner on the table with little effort. Now that my boys are three and six I make pasta approximately once a week and I was intrigued when a recent issue of Martha Stewart Living had a recipe for Bucatini with Red Clam Sauce and Hot Pepper, which looked easy and full of flavor. This recipe has 9 ingredients. It takes 20 minutes of total time and makes 4 servings. I did have to make a few modifications to the ingredient list. 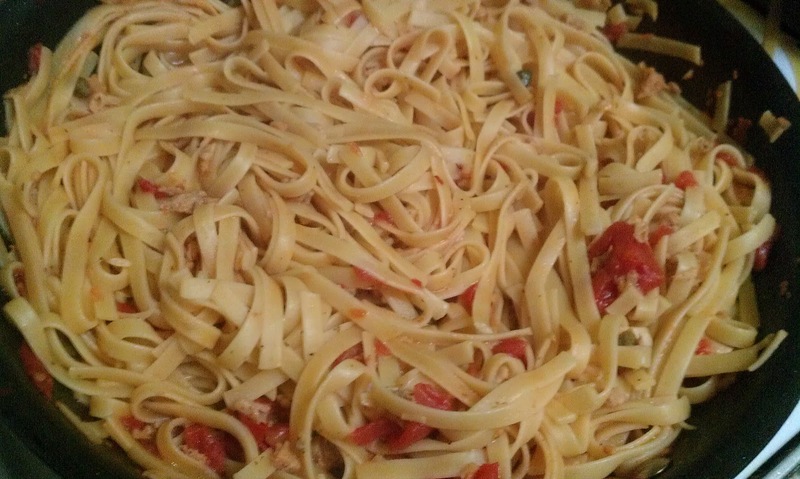 I was unable to find bucatini at my local grocery store so I substituted fettuccine instead. Additionally the day that I made this pasta recipe I discovered that I had ran out of dried oregano so I used Italian seasoning instead. I followed the remainder of the ingredients as written. The last step of the recipe I changed significantly. Instead of adding 1 cup of pasta water at the end of the cooking time, I chose not to add the pasta water at all. Instead I let the tomato sauce cook down almost completely letting the pasta be completely coated. Finally, I added a very large pinch of red-pepper flakes since my family loves spicy foods. My six-year-old who is normally very picky about any dish with even a hint of spice loved this recipe. He ate his whole serving and then moved on to stealing off his brother's plate. I really enjoyed that this recipe had clams, but didn't taste overly fishy. 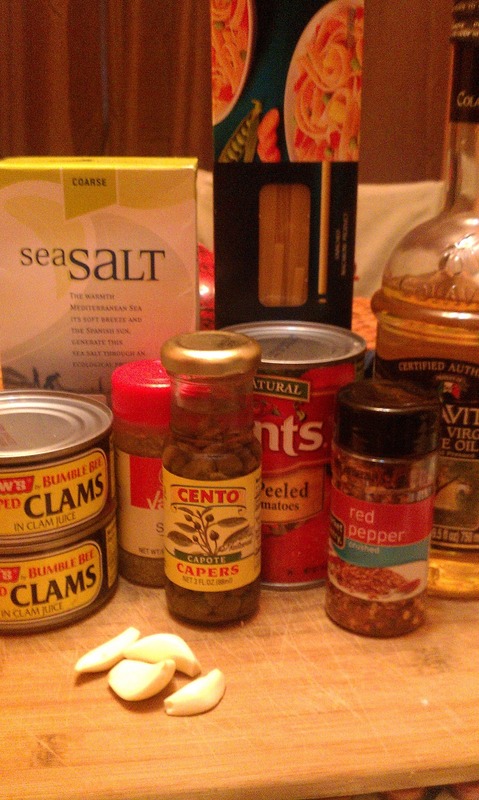 Both my husband and I found that the clam taste was delicious and added a great flavor to the recipe. Overall, an easy and flavorful new pasta recipe. For the recipe go to Bucatini with Red Clam Sauce and Hot Pepper. Thanks :) It turned out well and was very easy to make!